I’m back! After taking a much needed break over the holidays and adjusting the the back to school routine I am finally ready to dive back into what I hope will be an amazing 2019. 2018 was my busiest year as a maternity, newborn and family photographer - I photographed 50 amazing family and 32 sweet newborns, plus some specialty minis, Fresh 48s and maternity sessions. To be honest I was a little burnt out by the time December rolled around! This year I am striving to bring a little bit of balance back to my life, so I will be offering a very limited amount of newborn and family sessions each month, about 2-5 of each max. Not only is balance one of my goals, but giving the families I photograph the best experience possible from the time they inquire to the delivery of their photos and beyond is also at the top of my priority list for 2019. There are some exciting new changes coming to my family sessions in 2019 and I am so happy to finally share some details with you. You can see my updated pricing here, but what I am most excited to share are some of my additional offerings this year. First, all 2019 family session dates from February to December will be released for online booking starting February 1st; I wanted to make choosing a date that works for your family as easy as possible. This year I am happy to also offer payment plans that can be structured to fit your family’s budget and make investing in your families memories possible. High resolutions images with print release will still be delivered via an online gallery and USB, but I also wanted to give everyone the best opportunity to print their photos via their online gallery; your memories belong on your wall or your coffee table, not on a USB in the junk drawer! This year each session will include the option to pre-purchase a custom designed album of your session images at a discounted rate of $250. When you pre-purchase an album you will also receive an $100 print credit to use towards additional professional quality prints from your session. Album not in your budget? No problem, all families will receive a $25 print credit to use towards beautiful professional prints. Photos are printed at a local professional lab and will give you quality printed photos that just don’t compare to the prints you can get at the local drug store (watch for a side by side print comparison on the blog soon!) Lastly, your feedback is so important to me as I am always striving to deliver the best family photography experience; so following the delivery of each session I will be sending a short survey that I hope everyone will take the time to complete and share with me what they loved about their session or what they think I could do better. 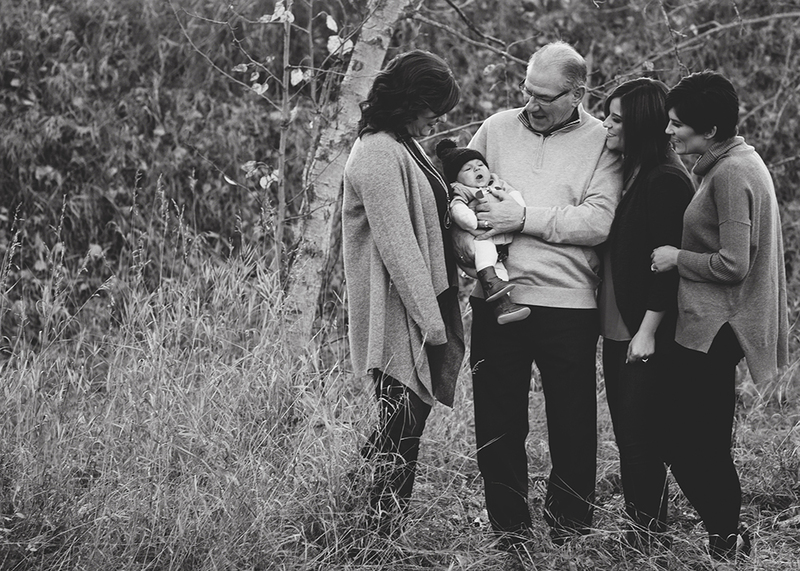 Choosing when to book your family session can be difficult. 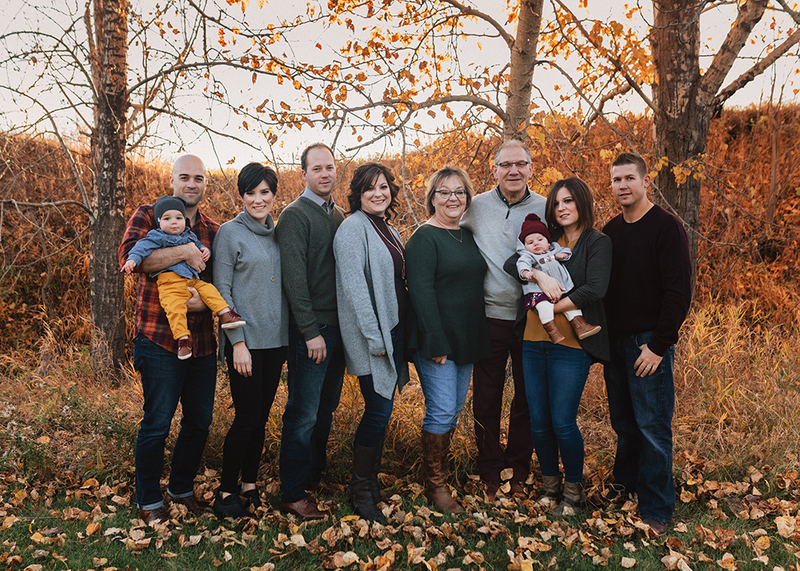 I am happy to share some of my favorite shots of 2018 as well as some helpful information that I hope makes choosing the season for your 2019 family session easy. 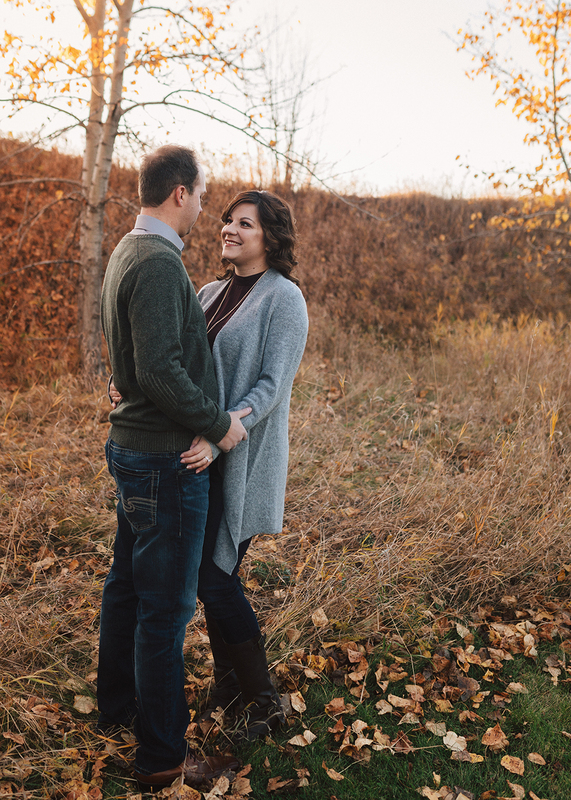 We live in a very interesting climate and choosing the right season for your session will include many factors such as temperature, sunset times and some pros and cons of each season. 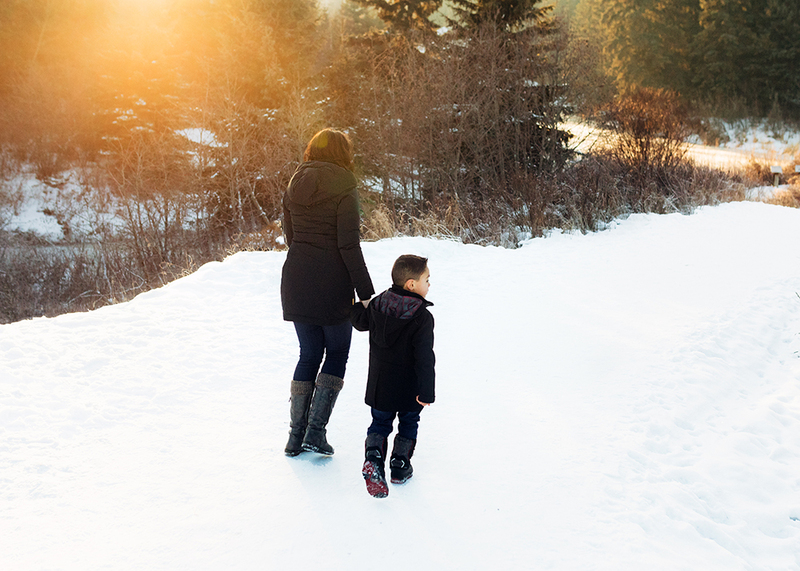 Winter family sessions take place between late November and March. The average temperature ranges between 0 and -6℃. The lighting or sunset times in the winter range between 4pm in November (after day lights savings) to 7pm in late March which can be convenient for families with little ones who can’t handle staying up too late. All of my family sessions are within 1-2 hours of sunset and in winter we can get that beautiful golden light as early as 3pm in November or 6 pm in March. Temperature is usually the main reason for rescheduling as I tend to reschedule if it is really windy or if the temperature is below -8. Some of the reasons I love winter family sessions are the adorable array of touques I see on little ones or when families bring hot chocolate to share with each other during the session. There are also some amazing winter events in YEG that I would be happy to photograph your family at including the beautiful Ice Castles; or we could hit up an Edmonton area rink for some skating or hockey themed family photos. In home sessions are also available this time of year, I’d be more than happy to come photograph your family baking Christmas cookies or snuggling up in front of the fire place. 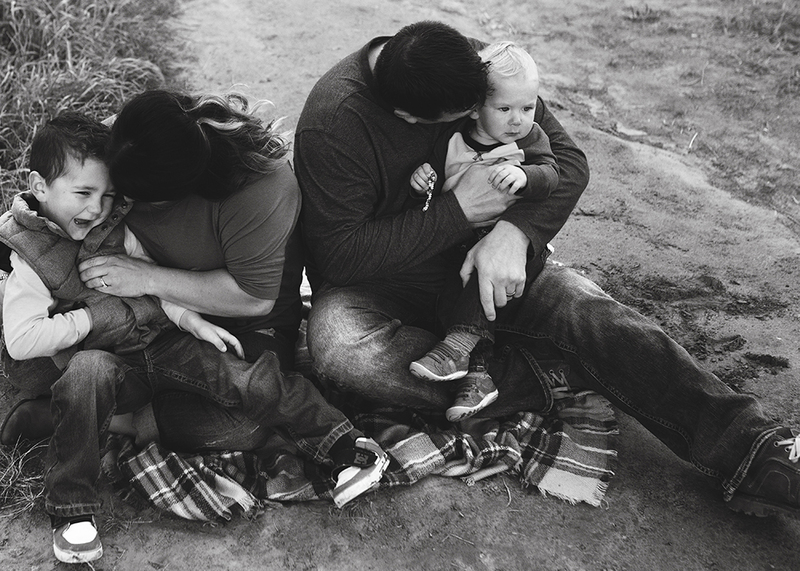 Snuggles to keep warm are what I love most and your kids will be more than happy to get nice and close during a winter family session. Spring family sessions take place between late March and May. Weather can be fairly unpredictable (who still remembers our April snow storms last year!) but the average temperature ranges between 11-18℃. The days get a bit longer but no too long for little ones. Sessions will take place between 7pm in April to 8:30pm in late May. Some of the reasons I love spring family sessions is the light - I always seem to catch the most beautiful light this time of year. Plus- no bugs! The mosquitos don’t come around until summer, but spring brings the beauty of summer with green grass and cherry blossoms by mid to late May. Spring is also the perfect time for grad sessions; I can capture the new grad the afternoon of graduation between the ceremony and banquet or the week or two before or after. Book your graduation session today by contacting me directly, spots are already booking up. Summer family sessions take place between June and August. This short and sweet season can see temperatures between an average of 21-23℃ with spikes a lot warmer. Thunderstorms are the main reason for rescheduling. Summer days are long! On the longest day of the year in late June the sun doesn’t set until after 10pm. Session times will range between 8:30pm in June down to 7:30pm in late August. This can seem alarming to some families who’s kids are in bed by 7 (like mine!) but trust me, our session will be so fun and action packed that any kid can handle one later than usual bedtime - Don’t worry! I will also be sure to prepare you for this later session with my family prep guide that I send to every family when they book a session. I love summer family sessions! Everything is green, flowers are bloomed and we can dip our toes in the water in some locations. I find dressing for a summer family session a bit more laid back too (not as many layers and kids can even go bare feet!). I would love to go berry picking with your family ( I know a couple good wild spots) or even photograph you amongst the big blue sky and canola fields in mid to late July. The main con - mosquitos! I carry a good supply of repellent to every session and tend to avoid areas where they are particularly bad; you can definitely prepare for mosquitos but it is something to keep in mind if you have little ones who are really bothered by them. 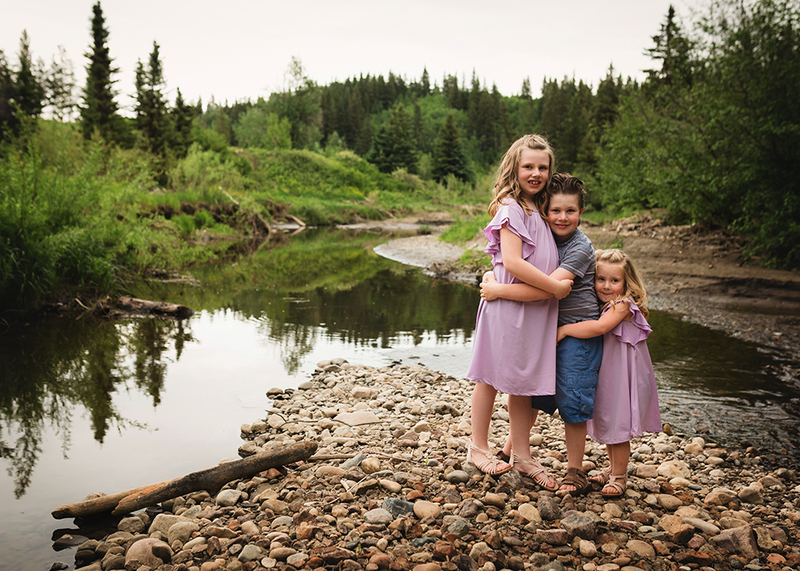 Overall summer is a very popular season for family photography for good reason, book early to avoid missing out! Last but definitely not least - Fall. 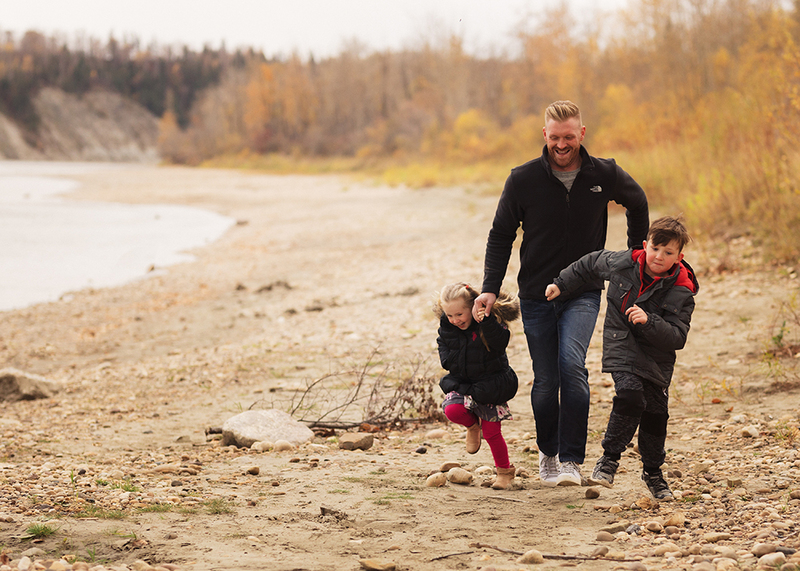 The ever popular fall family sessions take place between very late August to early November (if we are lucky - as we saw in 2018 fall can turn to winter very fast!). Temperatures are sweater weather nice with an average temperature that trends down from 17 to 0℃. Days start to get shorter which means earlier session times ranging between 7pm in late August to 5pm in November (prior to day lights savings), perfect for little ones. Cancellations are generally rare except for very cold days. The beautiful fall colors are the main draw, but they are honestly fairly unpredictable. My suggestion would be early to book between mid-September until early October - that would be the best bet in an average year. These session dates book up fast! In 2018 my fall was fully booked by July. What don’t I love about fall sessions! Bugs are generally gone, weather is fair and the warm tones really suit my editing style the best; mostly I love that I usually get to see the same beautiful families year after year. I hope that this helps you decide when the best time is for your 2019 family session! It’s going to be an amazing year, I hope you will join me! Watch for dates and online booking on February 1st! 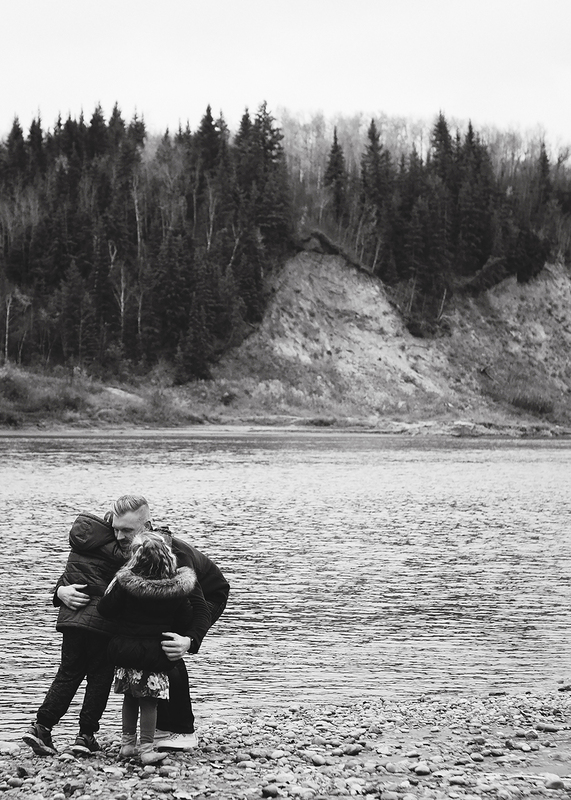 Today my goal was to actually finish my to do list, so here it is, the last thing on my list for today - a blog post of my of my favourite family sessions of all time. Let me tell you, with three kids home all day long in the summer it is sometimes impossible to even finish half of my to do list, so I consider this quite an accomplishment..hahaha. I also wanted to address all the inquiries I have been getting as of late for fall mini sessions. This year has been absolutely one of my busiest years yet (THANK YOU!!!) and with my fall nearly booked up, I just don't have room for any mini sessions this fall. Actually the more I ponder it, the more realize that I might begin to phase out mini sessions completely. 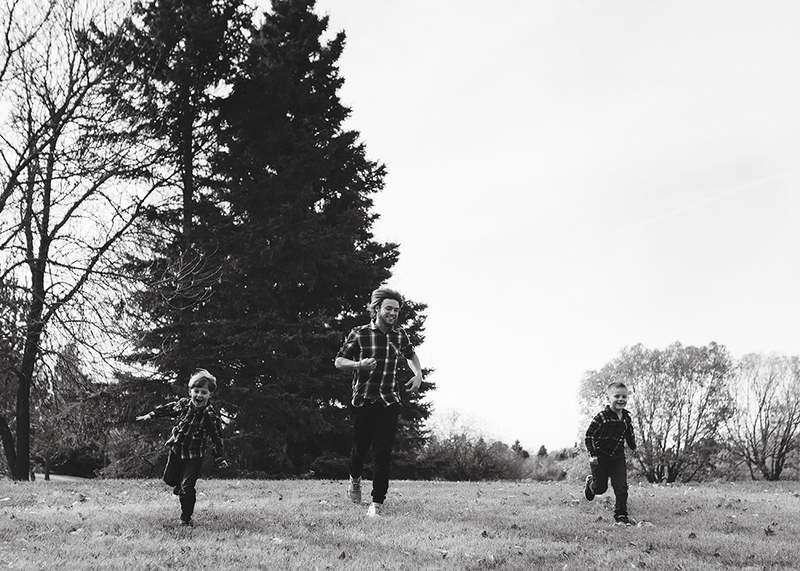 Mini sessions are 30 minutes long and sometimes the first half is taken up trying to get that perfect family portrait. They are rushed, and I don't get to know the families enough to capture the most meaningful images for them. Last year I sold full galleries to 95% of families who in the end would have gotten so much more value out of a full hour session with me instead. In a full hour session we choose a location that is perfect for your family. 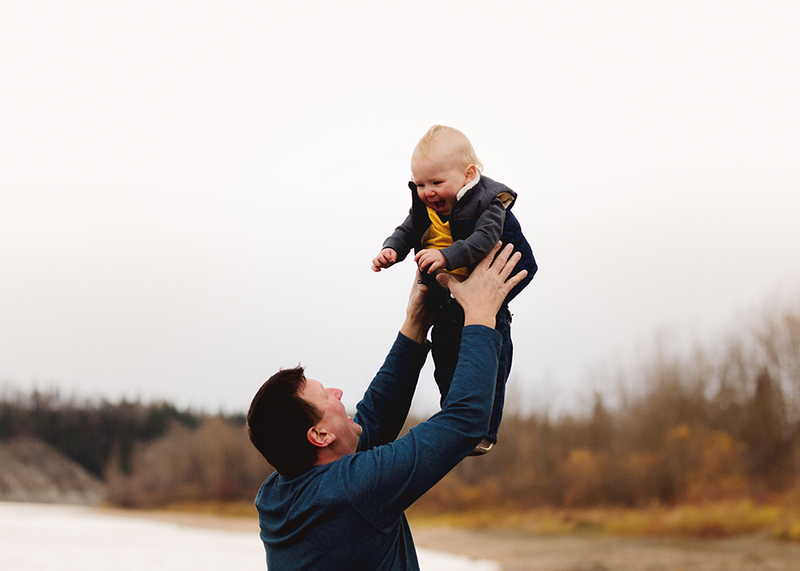 I get to know your little one's personalities and a bit about your family and that helps me capture the love and connection in images that will make your heart melt when you see your gallery. Timing is also key - golden hour or as close to sunset is really the perfect time for photos (see sneak peek below) and when I host mini sessions I can't give all my families that beautiful golden light - and trust me as a mom of three I can give you tips on how to keep your kids happy past their bed times. Wouldn't you rather have all the images on a USB (I don't limit you get all the images that make the cut) than have to painstakingly choose 15? Immediately after this post I am going to open two more weekend fall dates on the booking page - don't wait these will go fast! I hope you will join me! I am feeling a little emotional today. Milestones with my kids always hit me so hard as they remind how fast they are growing up. My sweet Taylor graduated kindergarten today and this school year officially flew by faster than any other. Next fall my baby will be off to preschool, Taylor will be in grade one and my sweet Blake, turning 9 in August, will be off to grade four. This summer I am soaking up every moment, you only get 18 amazing summers with your kids, if you're lucky, and I am already half way there with my oldest. 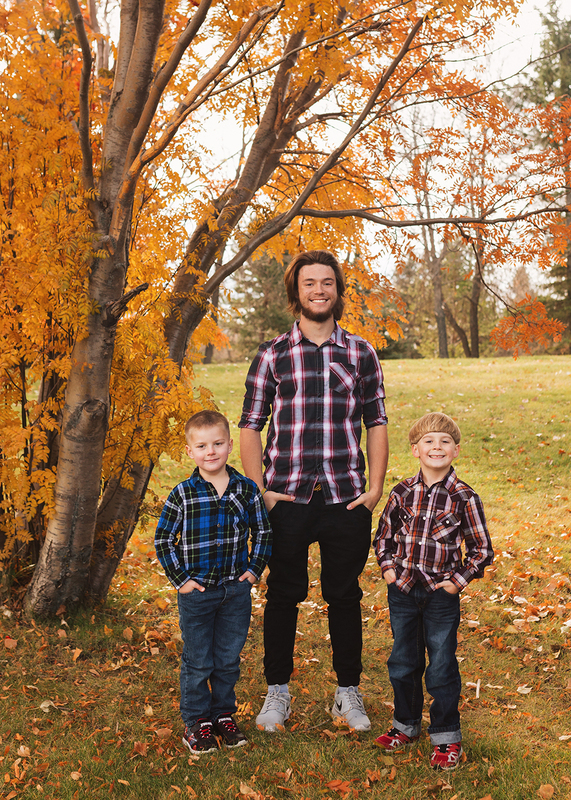 Family photos are also a must, I love looking back every year and seeing how much my kids have grown. We are excited to be having our photos taken on the beach this fall during our family vacation, memories we will cherish forever. My sweet Taylor, proud mama! In an effort to streamline my booking and in turn have more time to take my kids down to the river or to the park this summer (..and leave my phone at home) I am excited to announce my new online booking tool. 2018 Family sessions can now be booked at any time of the day and you can browse all of my openings at once, instead of the back and forth that can become hard to keep track of during the busy summer months. Your session deposit will hold your session date and I will be in touch within a few days to confirm your session date and discuss the best location for your family - easy peasy. You can find all of the information by clicking the button below. I still have a limited amount of newborn session openings but please contact me directly to book uour newborn photos - PS there is a new studio newborn package that starts at $450, you can see pricing here. I am so lucky to do what I do and I am so thankful for your continued support. I look forward to seeing many of you this year. Summer, fall and winter openings now booking, which season will you choose for your family session this year? Summers are here which means fun days in the sun with my girls and busy nights photographing beautiful families. Sneak peeks might take a couple days longer and blog posts might be few weeks behind, but I only have 9 good summers left with my almost 9 year old so summers means lots of family time and no work until everyone is in bed. I am hoping to fill up my remaining July & August openings so that we can plan our summer a little bit, July and August newborn and family sessions are now $50 off if booked before June 30. Contact me for more info or join my VIP page to be the first to see my online booking tool launching later this week. This year one of my biggest goals this year was to try and find balance, and most of all to be present for my girls every day. Last year I shot over 100 sessions and by December I was completely depleted and wondering how on earth the year went by so fast. So far this year I have set aside specific times a day for editing, so that I am never stuck in front of my computer for 12 hours straight. Also because I raised my pricing to a sustainable level, you can see my 2018 pricing here, I have been able to take on a number of sessions per month that let me support my family financially but also give me the flexibility I need to be present for my girls. Two weeks in and I have found time to work out again, I have spent quality time with my family everyday and I have my new home studio space all planned out - I have never felt better. 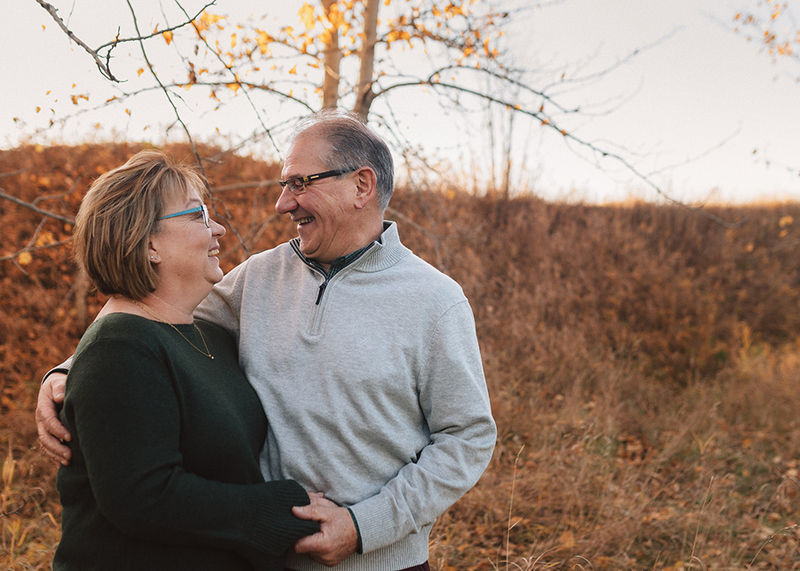 Sneak peeks might take a little longer, blog posts a bit later, and three-four weeks might become the standard turn around time, but know that you will be dealing with a much more pleasant and attentive photographer who isn't running on empty anymore. Sitting in my office staring at the snow covered pine trees it is hard to believe we were enjoying the fall colors just a few weeks ago. Winter showed up fast this year I think it is definitely here to stay - I am not a huge fan of the cold temps but I do love the snow and so do my kids. This cold weather made me realize that I am so behind on blogging! October was such a busy month, but I am finally at a point that I think I might get caught up! Starting with two blog posts today! Wow, winter sure came early this year. Looking at the forecast I think it is safe to say that this snow isn't going anywhere. Hard to believe that I was doing family sessions into mid-November last year with little to no snow and if I recall gorgeous temperatures. The silver lining is that hopefully in a couple weeks we will have a winter wonderland for my winter mini sessions. Happy Halloween everyone. I hope that you all stayed dry and warm and that you are enjoying some of your kids candy while reading this - it's called candy tax in our house and this mama goes right for the crispy crunches every year. I had such an amazing fall and was so busy right up until this past weekend, so blog posts are definitely piling up. Hopefully come November I will be caught up! Thank you all again for choosing me as your family photographer and make this my busiest fall yet. I really appreciate your patience while I work through all of your photos and promise they will be worth the wait. Fall is coming to an end here and that means major catch up time for me. I am hoping to have all of my September sessions and October mini sessions sent out by the end of next week. Thank you so much to all of you for your patience, I promise your photos will be worth the wait. Something this beautiful mom said to me when I was shooting this session has really stuck with me and that was that no one needs to be perfect in front of my camera. It's so true. Yes, I definitely guide you along the way, but sessions with me are very laid back. I want to capture moments, not just perfectly posed shots. I totally get it, getting photos done with little ones can be so stressful, but come to your session with the mindset that you don't need to be perfect and I promise you it will rub off on your kids and make for photos that will really mean something to you. Seriously how is it almost the end of October? I know, I am so behind on my blogging schedule, in fact I think this is the longest I have gone in between posts. The reason, you guys have made October absolutely my most successful month ever, which means I have barely any free time between sessions and all the editing that comes after. But thank you all so much for the amazing support, I really couldn't see myself doing anything else, I love this job so much. On top of working non stop I also took on a new challenge earlier this month that I am super excited about. I will be teaching photography classes at the Canadian Photography Learning Centre in the new year - specifically a how to shoot manual/use your DSLR class in January and a Lightroom class in March. This month I am training a couple nights a week, which has put me a bit behind, but I just couldn't turn down such an amazing opportunity. You can find more info at - www.cplc.ca.